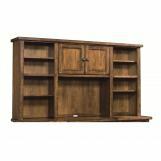 Provide ample space to house your favorite books and showcase decorative accessories with this Bookcase Wall. 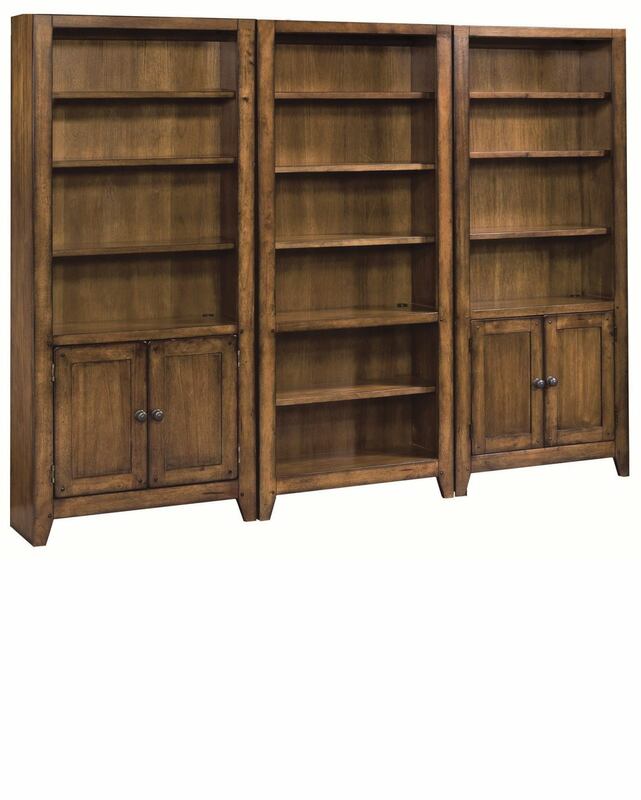 Three adjustable shelves and a fixed shelf on the upper portion of this bookcase add extra storage and organization to your home. 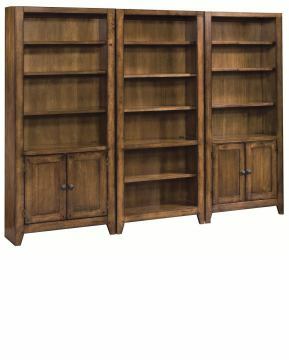 The one adjustable shelf and one fixed shelf behind the two lower cabinet doors can cleanly conceal work folders, craft baskets, or whatever else needs a place to be tidily tucked away. Made with sustainable mango veneers finished in lightly distressed saddle brown, this piece is sure to complete your office wall furnishings.